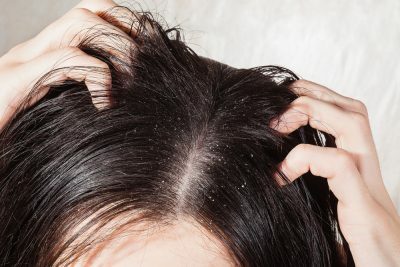 THIS Is What's Causing Your Dandruff & How To Get Rid Of Dandruff! Have you noticed white flakes that look like chalk dust on your sassy black dress? That's dandruff. It is either a genetic or environmental condition that causes red, flaky and itchy skin as a result of too much fungus that’s present on oily areas of the scalp. Is your scalp feeling itchy? Do you constantly feel like scratching your head? Do white flakes fall off your head onto your shoulders? These are signs of dandruff. Flakes from small and white to large, oily and yellow. An oily scalp is the main cause of dandruff in your hair. Greasy skin is prone to the fungus that causes dandruff on the scalp. Dandruff feeds on those areas of the scalp which are rich in oil glands. The main function of a shampoo is to remove excess oil and product buildup. If you don't rinse your hair timely, then oils and skin cells can build up on the scalp leading to dandruff. You are what you eat. If you consume too many dairy products and food that has excessive fat in them, it’ll affect your scalp causing dandruff, irritation and itching. Stress is the root cause of many problems and dandruff is also one of them. 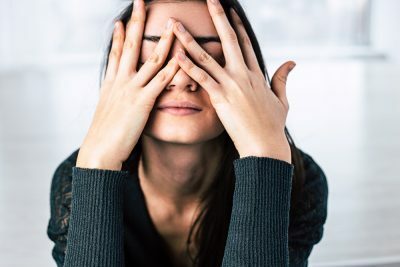 Stress can worsen any skin condition and impair your immune system. Stress can cause an itch-scratch cycle where the more you scratch, the itchier your scalp becomes. The wrong kind of shampoo can really damage your hair. Alkaline shampoos have that adverse effect on the scalp. They disturb the pH balance of your scalp and cause dandruff. Hair products which contain certain oils can also worsen dandruff. If you don’t brush your hair regularly, you’re not only making them rough and tangled but also building up dead skin on your scalp. If you don’t shampoo your hair on a regular basis then oils and skin cells can build up on the scalp leading to dandruff. Dandruff is caused because of an oily scalp. The fungi in dandruff prey on the oil that is produced on the scalp. Excessive oil production can give rise to flakes. Now that you know that an oily scalp causes dandruff, oiling your scalp cannot be a way to treat it. Applying more oil will simply give you stickier and greasier flakes. Also, rubbing oil on your scalp that is already oily can cause redness and itchiness. This is one of the most bizarre myths. Picture this, if the flakes on your head are easily scratchable, then you probably have too many of them already. This means you have a serious scalp condition. Improper removal of flakes can be painful and cause bleeding which can leave your scalp prone to infection. Contrary to this, you should shampoo your hair more often so that you can prevent your scalp from getting oily and becoming susceptible to more dandruff. Shampooing your hair regularly will keep your scalp protected from the fungus that accumulates on your scalp because of it becoming oily. Hair masks help you exfoliate your scalp. Applying an exfoliating scalp mask once to twice a week will help speed up recovery from all the dandruff flakes that have flared up. Such hair masks lift away flakes and help to return the rate of skin cell turnover on the scalp to a normal, healthy level. 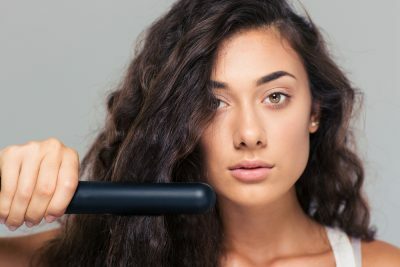 Using a straightening iron, a curler, blow dryer or spray can sure give you split ends, affect the texture of your hair but doesn't cause dandruff. Dandruff is mostly genetic or environmental. The weather and your diet can definitely affect your scalp. Dandruff can cause partial hair fall. The oil on your scalp succumbs to the fungus leaving your scalp damaged. The itchy scalp can cause irritation and if you keep scratching it, you will weaken the roots of your hair leading to breakage and fall. No! Dandruff is actually much worse in winters. During winters, our diet completely changes. We consume more dairy products and spicy foods. 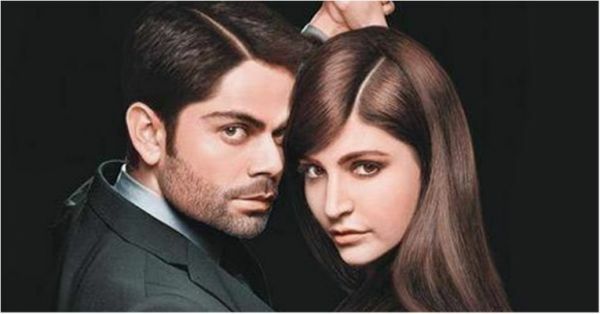 These products trigger dandruff during winters. Also, due to cold, many people don't shampoo their hair for four to five days, this damages the scalp and makes it flakier. How Does Dandruff Affect Your Scalp And Hair? How To Control And Prevent Dandruff? The first thing you need to do is get a medicated shampoo for your hair to treat dandruff. While looking for a shampoo that can help solve your problem, read the label carefully. Check the ingredients properly. Look for contents like pyrithione zinc, salicylic acid, ketoconazole and selenium sulfide. These help to fight an itchy scalp and lessen the flakes in your hair. Conditioners hydrate the scalp and provide moisture. The right conditioner is just what you need once you've found the right kind of shampoo for your hair. Medicated shampoos contain salicylic acid which dries the hair. 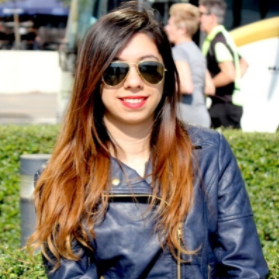 Don't we all love styling our hair by colouring them or using straighteners and curlers? Well, overuse of these products can cause major damage to the hair. These hair colours often contain ingredients that can irritate sensitive skin. Apart from these, natural or artificial fragrance can cause dandruff. And most importantly, bleach has major adverse effects on hair. There's no harm in occasionally stylising your hair but make sure to protect them with the right kind of serums while you expose them to potentially irritating hair products. Stress doesn't directly cause dandruff but it weakens your immune system. It affects your eating habits which eventually shows on your skin, body and hair too. This can make your scalp more sensitive to naturally occurring Malassezia fungus. So, find what works for you to keep the stress at bay. Frequent breaks at works, a mini vacation, a day at the spa, good music, movies or yoga. A healthy lifestyle is so important for healthy hair and skin. Massaging your hair with oils isn't advisable to people who have dandruff because oils can make the condition worse. But coconut oil is different. Try massaging your scalp with coconut oil and you'll be able to tell the difference. Coconut oil has antifungal properties that nourish and moisturize your scalp. The antifungal elements in coconut oil are similar to ketoconazole which is a common ingredient in anti-dandruff shampoos. Multani Mitti helps restore nutrition in your hair and makes them shiny, silky and dandruff-free. 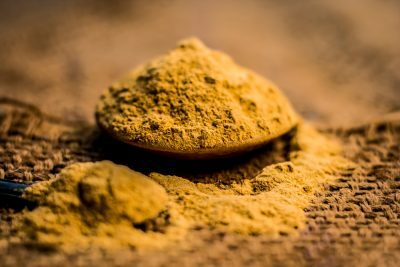 Take three tablespoons of Multani mitti and make a thick paste using water and some lemon juice. Apply this mixture on your hair and scalp and leave it on for about 30 minutes. Rinse it off with water. You'll love the results. Aspirin contains salicylic acid just like many medicated anti-dandruff shampoos. Salicylic acid helps get rid of the scaly skin and loosens flakes so that they can be removed easily. Crush two aspirins to a fine powder and add it to your regular shampoo that you use each time you wash your hair. Leave this mixture on your hair for five minutes, then rinse well and wash again with plain shampoo. Tea tree oil really improves the quality of your hair and helps reduce dandruff. You can apply it directly on your scalp and let it soak for about 5 minutes. Then rinse it off and wash your hair with a mild shampoo. You can also add tea tree oil to your shampoo and apply the mixture to your hair. The results will be equally good. Baking soda works wonders on hair. It can be applied as it is or if that’s too much, you can even mix it up with another product. It reduces overactive fungi that can cause dandruff. Just wet your hair and apply a handful of baking soda vigorously into your scalp. Rinse it after ten minutes. You don't have to shampoo your hair immediately after you rinse your hair. Initially, you may feel that your scalp is a little dry but eventually, it will leave your hair smoother and reduce dandruff. Yoghurt is very effective on hair that has dandruff. 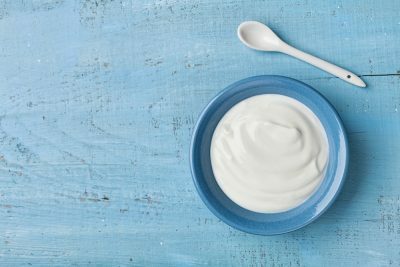 Yoghurt is a good source of probiotics and hence an ideal remedy for dandruff. Shampoo your hair and rinse them. Then, apply curd on your scalp and let it stay for 15 minutes. Rinse them again using a small portion of mild shampoo. Alternatively, you can even apply a curd pack on your hair and let it stay for an hour before you wash your hair. Fenugreek seeds benefits in treating dandruff due to the presence of certain minerals and vitamins. Crush the fenugreek seeds and soak the seeds overnight in hot water. Strain the mixture, and use the water to rinse your hair in the morning then shampoo your hair with a mild shampoo. Coconut oil is a great remedy for dandruff. It helps improve skin hydration and prevent dryness. Massage your hair with coconut oil before shampooing them. Let it stay in your hair for about an hour. Wash your hair with a mild shampoo. You can also look for a shampoo that has coconut oil in it already. Lemon’s acidity helps balance the pH level of your scalp, which helps keeps dandruff at bay. Massage your scalp with 3 tablespoons of lemon juice and then rinse it with water. Wash your hair with a mild shampoo afterward and avoid a conditioner. Repeat this procedure twice a week. The acidity of the vinegar helps the shedding of dead skin cells on the scalp. Apple cider vinegar is also said to balance the pH of the skin to reduce the growth of fungus and thus fight dandruff. Mix some apple cider vinegar with a quarter cup water in a spray bottle and spritz on your scalp. Wrap your head in a towel and let it sit for 15 minutes to an hour, then wash your hair as usual. Do this twice a week and you will get rid of dandruff. 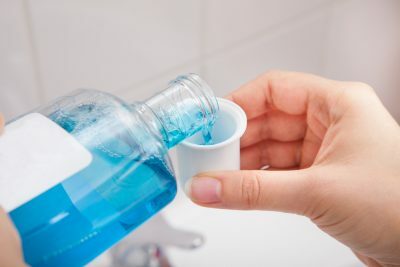 Mouthwash possesses antifungal properties that fight the dandruff-causing yeast and prevent its growth. Wash your hair with your regular shampoo and then rinse it with mouthwash. After that, wash your hair with a conditioner. Neem is known to have many medicinal properties. Also, it contains a potent antimicrobial compound called nimonol that helps in treating dandruff. Take 5-6 neem leaves and put them in a food processor to make a thick paste. Apply this paste on your hair and let it sit for 20 minutes. Rinse your hair with water. The orange peel has acidic properties that help reduce excess oil and condition the scalp thus helping you get rid of dandruff. Put the orange peel in a processor to get a paste and apply it on your scalp. Let the paste sit for about 30 minutes. Rinse your hair with a mild shampoo and avoid a conditioner. Salt plays a significant role in scrubbing off the dandruff flakes before you shampoo your hair. Massage your hair with salt when your scalp is dry. Wash your hair with a mild shampoo and apply a conditioner. You can do this twice a week. We use aloe vera on our skin directly and even add it to our face packs. Aloe vera works wonders on our skin and even on our scalp. The antibacterial and antifungal properties of aloe vera could help protect your hair against dandruff. Its cooling effect will soothe the itching on your scalp. Collect the aloe vera gel that is directly obtained from the plant and apply it on your scalp. Leave it on for about 15 minutes, and then rinse using a mild shampoo. 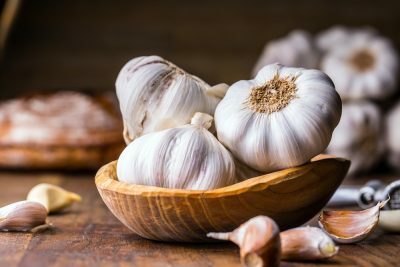 Garlic has excellent antifungal properties that can eliminate the microbes that cause dandruff. Crush garlic with the help of a mortar pestle and make a paste. Apply that paste on your scalp and let it sit for 15 minutes. Since garlic has a pungent smell, you can add two teaspoons of honey, make a mixture and then apply on your hair. Rinse with water and use a mild shampoo to wash your hair. Olive oil is a great remedy for dandruff. There are two ways in which olive oil can cure dandruff. One, olive oil moisturizes the dry areas of the scalp and prevents it from flaking. Two, olive oil is easily absorbed into the thick and scaly areas of the scalp that cause continuous dandruff issues. Due to this, the scaly areas fall away as one large piece instead of separate flakes. Apply olive oil on your scalp ten minutes before you wash your hair. You must have had your salon experts tell you the benefits of massaging egg yolks into your hair. Wondering why? Egg yolks contain biotin which is one of those vitamins that can help treat dandruff and also condition your hair and make it healthier and silkier. Take 1-2 egg yolks to massage your scalp and let it sit for at least one hour. You can cover your hair with a shower cap. Then wash your hair with a mild shampoo and avoid using a conditioner. Cedarwood oil has anti-seborrheic properties that treat dandruff and other inflammatory scalp conditions. Take cedarwood oil and mix it with cypress essential oil, juniper essential oil and carrier oil. Apply this mixture on your scalp and let it sit for one hour. Then wash your hair with a mild shampoo and warm water. Also, add a quarter cup of water to your mixture and rinse your hair again with that mixture. Basil leaves are known for their extensive antibacterial and antifungal properties. They help treat dandruff and also improve the strength of the scalp. Take basil leaves and grind them with a mortar pestle. Add 2 teaspoons of water and 3 teaspoons of amla powder. Stir the mixture well and then apply it on your scalp. Leave this mixture on your hair for 30 minutes. Rinse it with water and use a mild shampoo. 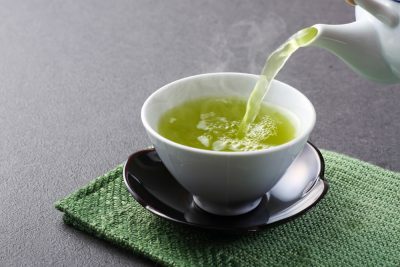 Green tea has antifungal properties. Its polyphenols are antioxidants that can help fight dandruff and restore the health of your scalp. Take two green tea bags and immerse them in hot water. Let the decoction cool down before you apply it on your hair. Rinse your hair with water and use a mild shampoo. Henna not only works as a hair dye but also its dried leaves are used in treating many hair conditions, including dandruff. It also reduces oiliness of the scalp and acts as a conditioner. For best results, mix henna with curd and two teaspoons of lemon juice. Let the mixture stay for 8 hours before you put it on your scalp. Then apply the mixture on your hair and let it sit for about two hours. Wash it off with a mild shampoo. Omega-3 fatty acids play an important role in our body. Omega-3 fatty acids can also reduce inflammation, which may help relieve irritation and dandruff symptoms. Fish oil contains Omega-3 fatty acids. These possess anti-inflammatory properties that help to heal a dry scalp and eliminate dandruff. You can take capsules that contain fish oil to fight your dandruff condition. It is recommended that you do not have more than 2 capsules a day. Himalaya is one of the most trustworthy companies when it comes to herbal products. Their anti-dandruff shampoo works wonders to remove dandruff and soothe the scalp. This shampoo is 100% herbal and is completely gentle on hair. Price: Rs 128. Buy it here. Head & Shoulders Smooth & Silky Anti-Dandruff Shampoo is formulated with moisturizers that help soften dry and frizzy hair. It helps fight dandruff leaving your scalp flake free. Also, it’ll leave you with that silky smooth finish. Price: Rs 242. Buy it here. VLCC Dandruff Control Shampoo has ingredients like rosemary and mint that help reduce dandruff without harming the texture of your hair. The antibacterial property of rosemary oil protects against scalp infection and removes dandruff effectively. Price: Rs 117. Buy it here. L’Oreal is your go-to-brand if you want a good hair product that gives effective results. 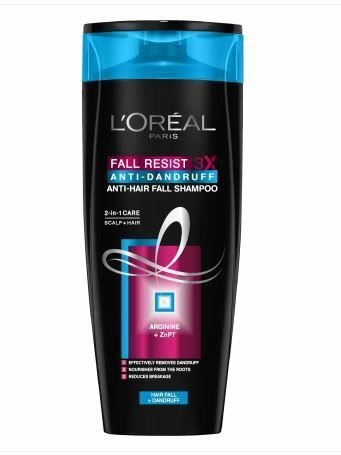 Its Fall Resist Anti-Dandruff Shampoo treats your scalp for no dandruff and strengthens your roots for no breakage. Price: Rs 150. Buy it here. 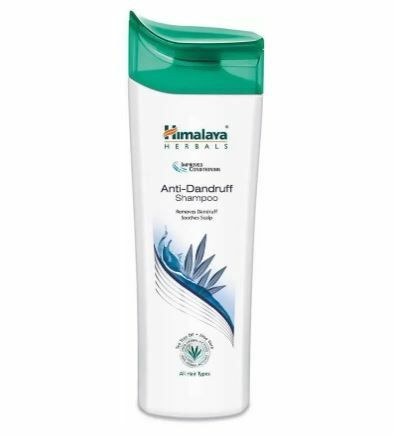 Patanjali products have entered all segments and now they even have an anti-dandruff shampoo that treats dryness and prevents flaking. It also fights with the insecticides strengthening the roots. Price: Rs 100. Buy it here. Refresh and soothe your scalp with this anti-dandruff shampoo from The Body Shop. Complete with ginger extract, birch bark extract, white willow bark extract and Community Trade honey from Ethiopia, this shampoo is perfect for flaky scalps. Price: Rs 645. Buy it here. 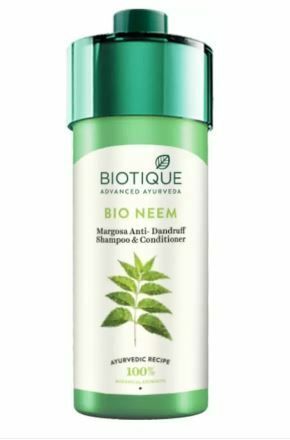 Bio Margosa Anti-Dandruff shampoo & conditioner from Biotique is a two-in-one shampoo and conditioner combination and is meant to treat dandruff caused by the dry flaky skin. Price: Rs 238. Buy it here. Get rid of dandruff and itchy scalp with Fabindia Tea Tree Dandruff Control Shampoo. Enriched with the goodness of tea tree oil, this shampoo helps control dandruff. It protects the scalp from bacterial and fungal problems, keeping the hair healthy. Price: Rs 350. Buy it here. Dove Dandruff Care Shampoo cures dandruff and provides extensive moisturization to keep away dryness. It makes your hair soft, smooth and dandruff free. 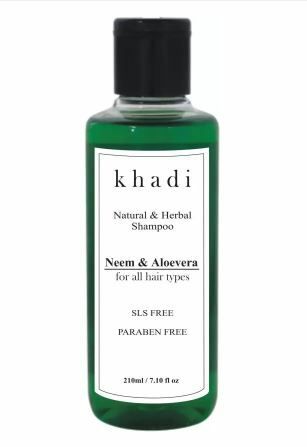 Khadi Neem Aloe vera Herbal Cleanser helps fight against heavy dandruff, flaky scalp and cleanses dead cells to prevent dandruff. Also, it helps repair damaged and dry hair. Price: Rs 188. Buy it here. Watch this video for a permanent solution to dandruff at home.